Found 34 file extension associations related to Apache OpenOffice Draw (OpenOffice.org Draw) and 6 file formats developed specifically for use with Apache OpenOffice Draw (OpenOffice.org Draw). 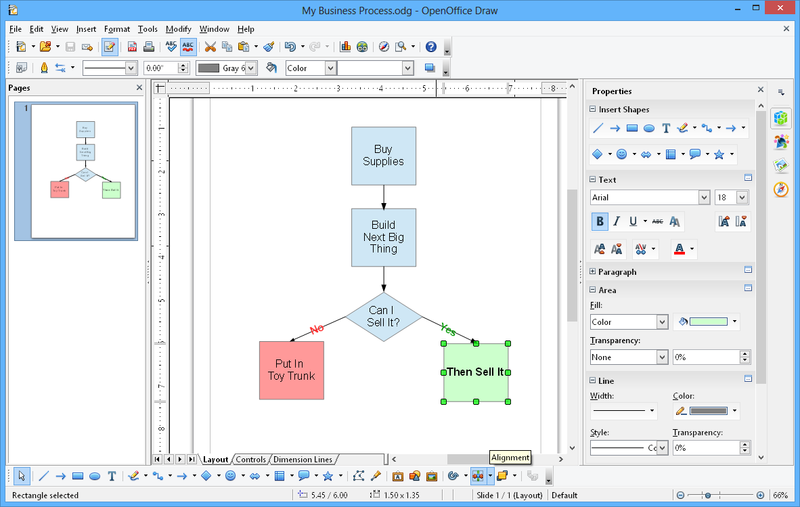 Apache OpenOffice Draw gives users the tools to communicate with graphics and diagrams. With a maximum page size of 300cm by 300cm, DRAW is powerful tool for technical or general posters, etc. Smart connectors make short work of flowcharts, organisation charts, network diagrams, etc. Define your own 'glue points' for connectors to 'stick' to. Save your graphics in OpenDocument format, the new international standard for office documents. This XML based format means you're not tied in to DRAW. You can access your graphics from any OpenDocument compliant software. If you need more information please contact the developers of Apache OpenOffice Draw (OpenOffice.org Draw) (OpenOffice.org Project Team), or check out their product website.